Top loading—no need to punch inserts. 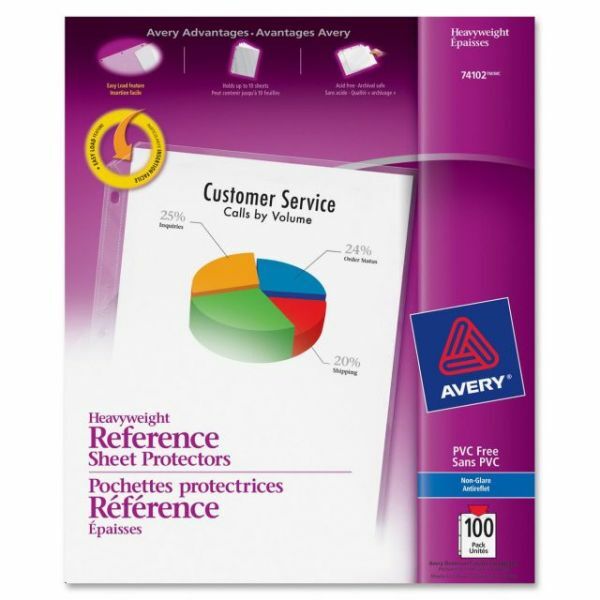 Avery Top-Load Poly Sheet Protectors, Letter, Heavy Gauge, Nonglare, Clear, 100/Box - Get all the lasting document protection you want without distracting glare. 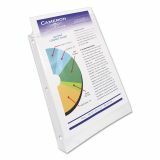 These Nonglare Heavyweight Sheet Protectors display your documents without the sheen of glare that makes reading difficult. 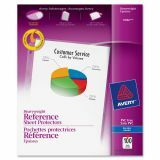 Durable polypropylene makes these sheet protectors ideal for frequent use, and the archival-safe properties ensure that your documents stay well-preserved without degradation and print transfer. 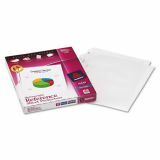 The Easy Load feature makes it simple to slide letter-size papers into place, letting you insert up to 10 sheets in each page. No need to punch inserts. 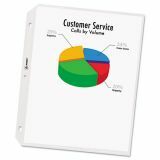 Heavyweight sheet protectors are three-hole punched and top-loading.